Rendering services when ideas come true and become alive. Parade of words isn’t become surprise for people in our modern and dynamic world. It is very difficult to find a person, who buys a product or service by one’s lovely description. 3D visualization is the most effective way to demonstrate the product so, as it looks in our real world. Rendering services are made commercially a real revolution in the market becoming one of the key developments persuading customers to an order. Absolutely every object can be better presented from the marketing perspective with the help of it. A qualitative three-dimensional model of creation of a product for Internet store allows potential purchasers to examine it on all sides, and to change its color scheme with a single click. 3D rendering – we save money at creation of presentation materials. It is succeed in eviction copy creation of a real existed or non-existed object in the form of three-dimensional model by virtue of the given technology. This technique is very popular in situations when photography in virtue of some or other circumstances is hampered or impossible. More importantly, there are times when it is much cheaper for a client to order computational model than to search for a professional photographer and pay his costly service. 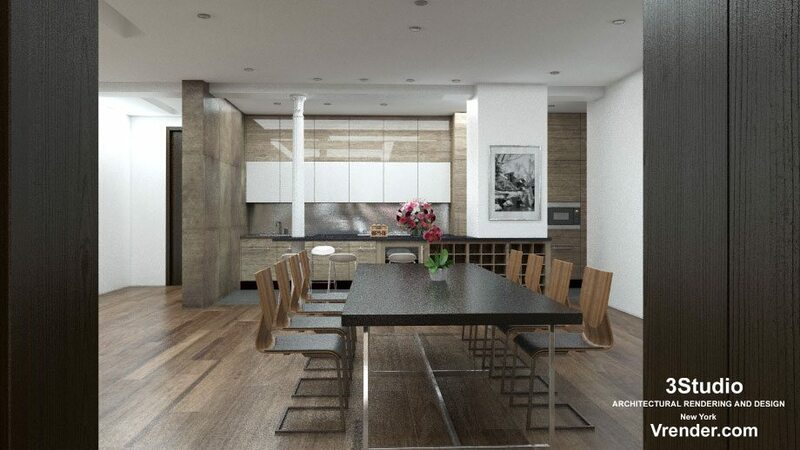 3D rendering is needed for in-depth development of every small detail. It is important to take into account the whole physics of lens and cameras during literate installation of studio lightning in order to get the highest results. Even the choice of camera angle plays a major role in rendering of objects or things. Nowadays 3D visualization is one of the most demanded services among architects, landscapers and manufacturing industry representatives. It allows converting a meager style of engineering drawing into its graphic prototype of a ready-made product. For example, a designer can always demonstrate his construction idea to a client absolutely so, as it will look in reality. Computer rendering isn’t minimum useful for people, who are involved in advertising activities. Real-world model creation is the only opportunity to present a new product to deal with future clients even before the stage of its production. 3D rendering is also used during developing of new models of jewelry, souvenir gifts, children’s toys and many others. Experience has proven that rendering service becomes more popular day by day. However, it is necessary to entrust it only to professionals if you wish to have a real benefit.